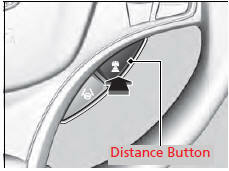 Press the (distance) button to change the ACC with LSF following distance. Each time you press the button, the following distance (the distance behind a vehicle detected ahead of you) setting cycles through short, middle, long, and extra long following distances. 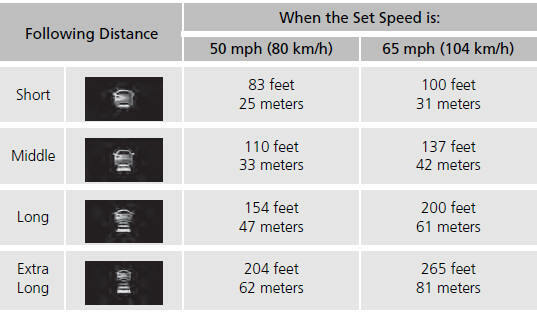 The higher your selected set speed is, the longer the short, middle, long or extra long following distance becomes. See the following examples for your reference.